Recent advancements in numerical weather prediction and an increasing degree of the science behind severe weather has been great for meteorologists. However, does this newly found knowledge translate into a better public outreach and public preparedness? Stakeholders with direct communication to meteorologists would say yes, but this does not necessary translate down to the average citizen. While severe weather research and increases in computing power seem to be the new space race within the weather community, the social science aspect is apparently lagging behind. Yes, the National Weather Service has been committed to understanding the general public's needs, for several years. Even in 2012 funding was allocated to the cause. 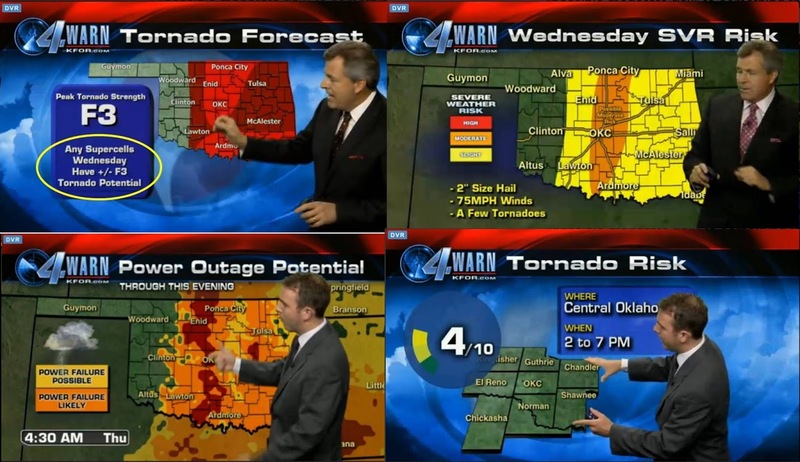 However, we are not quite there for the best understanding of severe weather forecasts within the public. Most of the confusion comes with the wording with in the Storm Prediction Center. While it is hands down the best severe weather forecasting center in the world, recent changes to their 0-3 day outlooks have been problematic.. The system is to rank severe weather risk in categories from low to high or, "marginal" to "slight" to "enhanced" to "moderate" to "high." While the system is rather new, the issue comes with consistency, sometimes even within the weather service. For example, the graphic attached is a severe weather forecast from NWS-Mobile. While the graphics is great on its own, what does "elevated" and "significant" actually mean? Does elevated mean enhanced? or? Not to mention some of the other weather blog or social media pages out their who are mapping out even more misleading information. In an ideal world every media outlet would use the same format, and things would be consistent. Maybe even a 1-5 scale? Like Europe does, even within their severe weather warnings. It is certainly a known issue within the weather enterprise, but it is what we have...for now. Let's take a look at some survey results, on the current wording in the Storm Prediction Center's outlooks. 100 people, without a weather background were surveyed. Notice how the enhanced risk is actually thought to be higher than a moderate risk in the survey. I mean, it's definition is "intensify, increase, or further improve the quality, value, or extent of." In fact 16% of participants put "enhanced" above "high". Slight and marginal risk came back as similar results, yet 90% of the results ranked either of these two as 1 or 2 on the 1-5 point scale. Much of the confusion comes with the term "enhanced." Could a "enhanced-slight" solve this? Maybe? In general it seems people to understand a normal low medium high distribution, as the high risk was closest to its ideal rank of a 5, coming in at an average of 4.38 and 70% ranking it as the highest risk of severe weather. 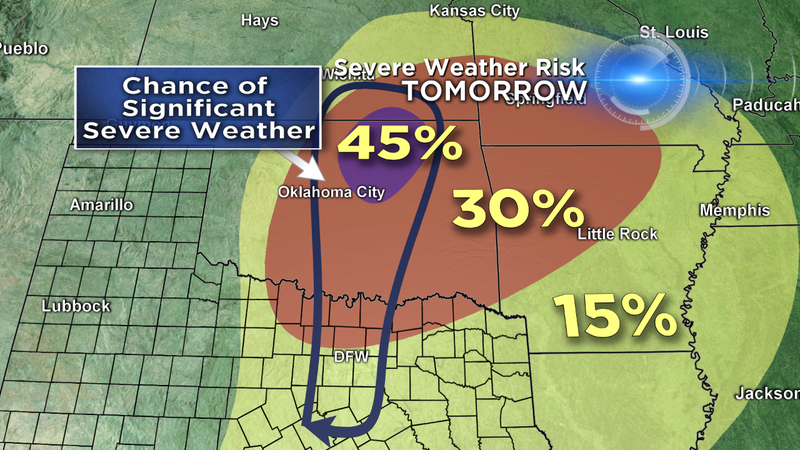 Another solution could be to proceed the outlook with a numeric value of 1-5, or "2-slight risk of severe weather." The survey we conducted then went on to ask about what your preparedness based on a forecast. The questions were "If you heard your area has a enhanced/moderate/high risk of severe weather today, how would your day change?" The results are below. It is good to see that a high risk will tend to lead to more preparedness through the day of the event, while enhanced still seems to cause more stir than a moderate risk. Interesting. - "What's enhanced risk? Never heard of this before"
- "My only concern is regarding the many levels of weather conditions. IE marginal, enhanced and slight all sound the same to me. Why not have more simplified categories such as low, moderate and high?" Overall, I am not calling for a call to action, but rather conveying the point that, the general public will not understand the caliber of a local map that says, "moderate" risk. 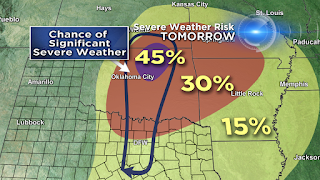 Meteorologists need to express the extent of the severe weather threat, maybe by expressing how rare an outlook is. Thanks for checking out these survey results and brief article. You can always follow me on Twitter or 'like' the Midwest Weather Facebook Page.